Are you an “Everywoman?” Neither am I! Recently I attended The Loomis Insititue of Enzyme Nutrition Annual Conference at Big Cedar Lodge (fabulous!) near Branson, Missouri. 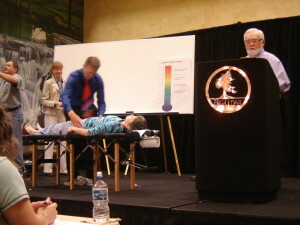 Dr. Howard Loomis presented 2 ½ days of amazing information about the application of enzyme nutrition to women’s health. The conference was wonderful reinforcement of what I have learned to be true, that food can be your best medicine. If a woman eats appropriately for her individual needs, and can digest and absorb what she eats (critical point! ), she stands an excellent chance of restoring her health and maintaining health throughout the stages of her life. 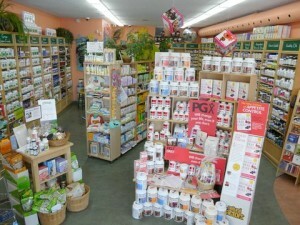 The Health Food Store, are there solutions here? We women are often told that our health challenges, PMS, bloating, thyroid problems, struggles with infertility, hot flashes, low libido, menopause, weight struggles, autoimmune problems, etc. are normal, typical, to be expected. If we try to help ourselves with “natural” remedies we are basically left on our own to figure out what might be best from a long list of products marketed to “everywoman” Many of these “women’s formulas” have no basis in nutrition and basic science. Women’s health issues may simply be the manifestation of an imbalance, showing her nutritional status to be out of sync with her physical needs. As a specialist in the restoration and maintenance of health, my job is to determine the precise issues for a woman as a unique individual, taking the time to understand what the troubles are and figure out what will help the most. If you have been unsuccessful with the solutions that are out there for “everywoman” consider coming to one of my upcoming, free health classes. and, you can find the enzyme nutrition practitioner locator HERE.